Well, no. This is just not going to work this way. 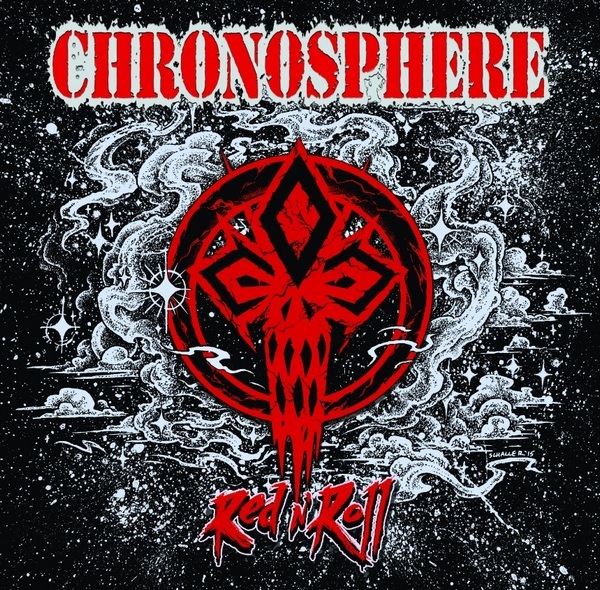 I admit, that the heart of the thrash metal fan within me trembles with excitement, as CHRONOSPHERE‘s newest album blows my headphones off, but… I am obliged to be completely objective. Yeah, as you know, they are also part of this small socium of Greek thrash bands, being in their prime in the last few years – fast, furious and yet melodic. Does this sound familiar? You’ve heard the same before? Well, here you go – a two-sentence description of what „Red N’ Roll“ is. It has some undeniable quialities and I’m sure it will appeal to a lot of people which are not that much into thrash, especially to the fans of the „old“ METALLICA, OVERKILL, DARK ANGEL… and maybe EVILE, if we must add a modern band to the list (the way CHRONOSPHERE combine the elements of their music reminds me a lot of those particular bands, yet here the songs seem to sound a bit heavier). No doubt, as well, that the Greeks have spilled tons of blood, sweat and tears (the most manly ones!) over their new material, but… Let’s just say it straight – it is 2017. Is there a place in the present for the cult to a 30-years-old kind of music? Definately! But this doesn’t mean we must stick blindly to it. Cause thrash has a lot more to offer yet and I wish to believe that four musicians, that are so obviously talented, have not refused to put a bit more effort into distinguishing themselves from all their colleagues, sounding exactly the same.